The definition includes both the teacher and his/her role as a motivator in the language classroom and the learner and his/her efforts to exploit his/her overall linguistic and cultural competence. As the project progressed, and based on the findings in the classroom, awareness-raising was singled out as the most essential facet of intercomprehension. The development of language and culture awareness seems to be the major task both for the teacher and the pupil. For the pupil it seems to be a question of developing his/her awareness by recognizing certain intercomprehension factors, for the teacher a question of developing his/her abilities to motivate for recognition of these factors. In this way intercomprehension can be viewed differently depending on whether it is seen from the pupil's or the teacher's point of view. The student teacher needs to include both these angles in his/her language studies. Byram and Risager (1999 : 153) also refer to the non-native speaker as an intercultural speaker and describe him/her as " ...a person who is capable of perceiving and explaining cultural and linguistic differences, and of making use of this capability in communication". These two descriptions see the intercultural speaker from different angles: Kramsch does not specify that the speaker should be able to explicitly state any differences in language or culture, whereas Byram and Risager include such specification in their notion of the intercultural speaker. This difference could be an interesting issue to discuss from an academic point of view. 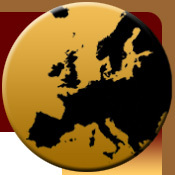 However, from a practical point of view the notion of the intercultural speaker as a speaker who makes use of whatever implicit or explicit resources he/she can mobilize to understand and to communicate in a foreign language, is more fruitful and viable, and complements the Council of Europe notion of plurilingualism quoted in section 2.0 above. In the foreign language classroom it will be the task of the teacher to motivate pupils to make use of all their abilities in order to comprehend language, and gradually produce language. To do so the teacher's own language and culture awareness should have reached a level where he/she is able to explain differences, without necessarily using such explanations in class. But the pupil's position is one of developing such awareness, with the teacher's constructive feedback as a strong motivating factor. The notion of the plurilingual intercultural speaker applied to the foreign language classroom makes sense if it includes the total range of abilities that a learner mobilizes. 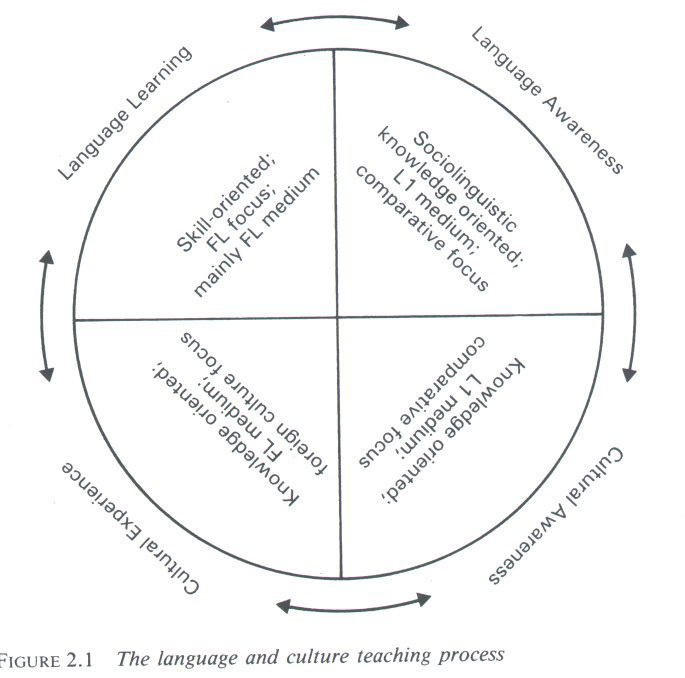 If we take this view, the learner can be characterized as an intercultural learner, for whom it may be an aim to develop intercultural competence. How then, can the learner develop intercultural competence? And is the development of intercultural competence a desirable aim? Risager states that intercultural competence ..."refers to and supplements the concept of communicative competence, and therefore includes a skills dimension". (Risager 2000 : 161). Intercultural competence is furthermore associated with assessment criteria. The concept of cultural awareness, she suggests, may be a better term, since it is more general and non-technical, and caters for a wider set of interpretations. If the notion of competence is closely associated with skills and assessment criteria, then this shift from "competence" to "awareness" to describe a wider range of factors in the language and culture teaching process is not only a useful shift, but offers also a better and more to the point way of labelling what actually seems to take place in the language classroom where intercomprehension ideas and methods govern the activities. The experiments described in chapter 4 indicate that degree of recognition seems to be crucial when it comes to how much the individual pupils can transfer of insight, knowledge and skills from one language to another. Based on the classroom experiments we carried out, we found that it may be relevant and convenient to describe such degree of recognition in four areas: language, culture, genre, and theme. Pupils recognize and identify words and phrases they can compare with words and phrases they know in their mother tongue or other languages. In primary school the mother tongue is the most important source of reference, but gradually, as experience and knowledge of other languages than the mother tongue increases, so will also the chances for making use of more languages than the native language. Many fairytales, songs and games represent a common European cultural heritage, and this common frame of reference makes it easier to understand various European languages. In section 4.5 the recognition of a socio-cultural rather than a cultural feature was mentioned. Learners, particularly young learners, will have implicit rather than explicit socio-cultural knowledge to draw on in many contexts. For example when working with a theme like "family and friends" such implicit knowledge will be useful. Genre can play an important part, in the sense that for example recognition of structural features like sequencing and repetition in e.g. fairytales and songs seem to strengthen recognition of language and culture. Theme seems to have a similar positive and strengthening effect. By combining theme and cross-curricular activities, even more recognition and understanding will probably be the result. These four aspects of recognition: language, culture, genre and theme represent a holistic approach to language learning. They also represent a methodology that on the one hand links language and culture, and on the other the individual's experience and cognitive level of development to his/her linguistic and cultural learning process. The young learners need a high degree of recognition of specific examples or cases in all four areas, while more mature learners have the capacity for generalization and conscious comparison between languages. The following figure illustrates the interrelationship between learning - awareness - experience - in the language and culture teaching process. It can also be seen as an illustration of the role of the teacher on the one hand and the role of the learner on the other. The two actors have a common goal: development of language and culture awareness. The learner will develop his/her awareness through recognition of one or more intercomprehension factors; the teacher will develop his/her awareness through motivating the learner to recognize them. a broad approach to language teaching and language learning which embraces a positive view of linguistic and cultural diversity and which aims to motivate pupils to recognize and activate their explicit and implicit linguistic and cultural knowledge, skills and experience in order to develop their general language and culture awareness. This definition caters for awareness-raising, which we found was an essential element in the notion of intercomprehension, and also for the learner's prior knowledge and skills as a decisive factor in the process of learning foreign languages.